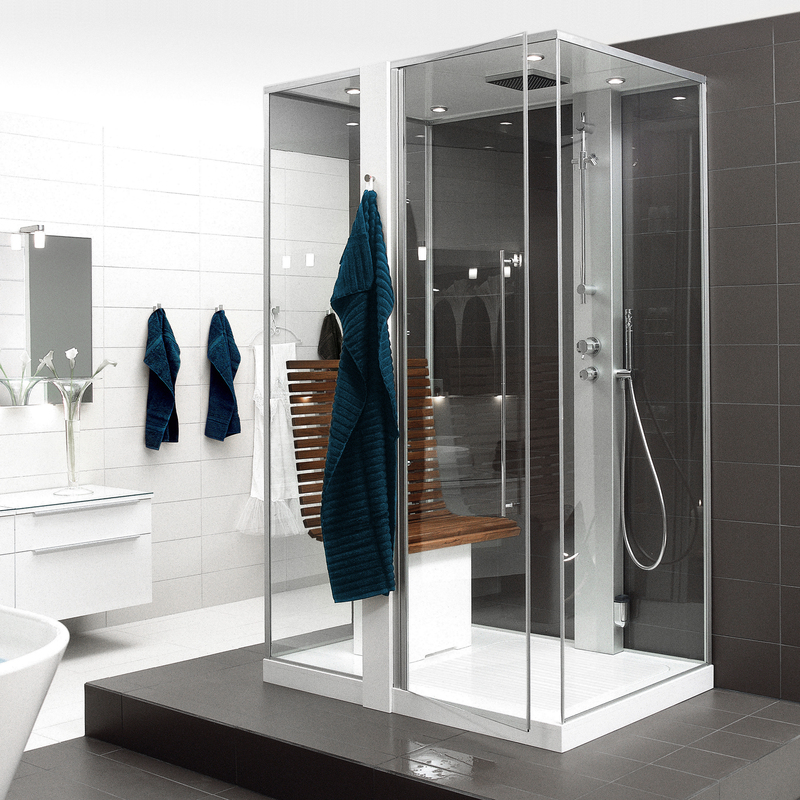 When Svedbergs, a leading bathroom supplier, approached us to design a new series of showers, we analyzed the market and saw a clear trend towards minimalist frames. However, we also saw a need for lasting designs that don’t become outdated within a few years. We worked with glass and aluminium to create slender frames and a light feel. But we also included a range of practical details for long-term functionality. These include easy-to-clean cast marble floor panels that hide drains, a shelf for shampoo and soap, and a handy hook for towels. We also chose to include wood in the design to provide a feeling of quality and serenity, and to connect the shower to Svedbergs’ other bathroom products for a harmonious user experience.